ST. GEORGE – The St. George Chamber of Commerce, Dixie Sunshiners, local businesses and community members gathered at the River Road Jiffy Lube, 1393 S. River Road in St. George, in the Boulder Creek Commons retail development, to welcome the new quick lube to the community with an official ribbon-cutting. 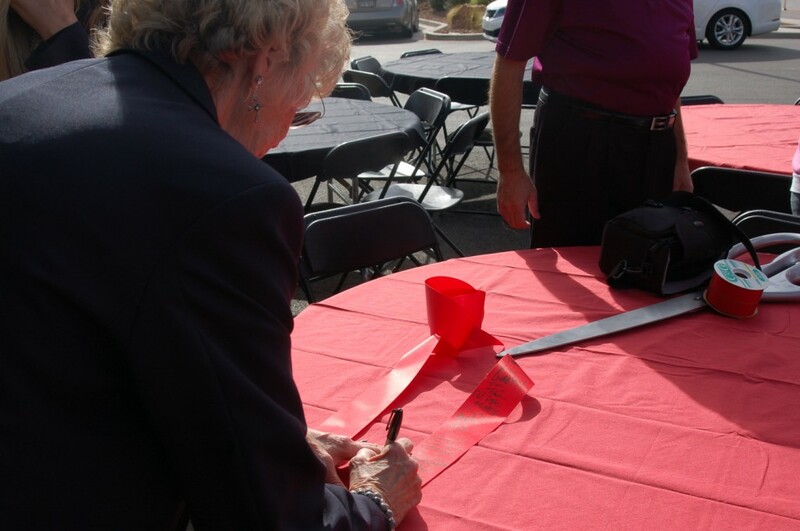 Co-owners Kelly Kent, Kelly Thompson and Matt Johnson, who together have more than 60 years of experience in the quick lube industry, were on hand for the ceremony; their wives, Connie Kent, Kirsten Thompson and Lisa Johnson, had the honor of cutting the ribbon. 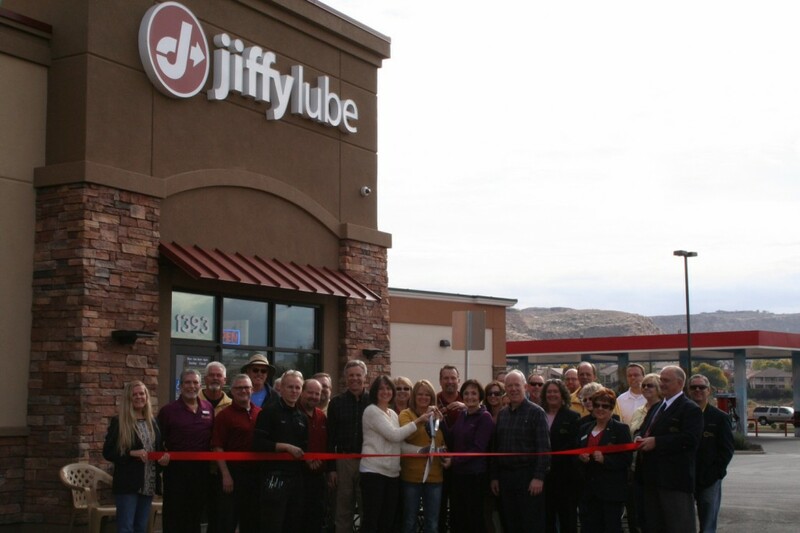 Despite initial environmental and aesthetic concerns from members of the community regarding the new Jiffy Lube, the new location opened on Sept. 15, co-owner Matt Johnson said, and already it is garnering accolades from within its own business genre. 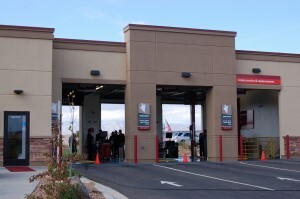 Community members residing on properties north of the building’s location were concerned about their view being compromised, Johnson said, so the Jiffy Lube owners extended their landscaping, which was originally designed to only grace the front of the building. The extra effort was worth it, Johnson said; the building has already won an award through the National Oil and Lube News contest for best-looking service center. 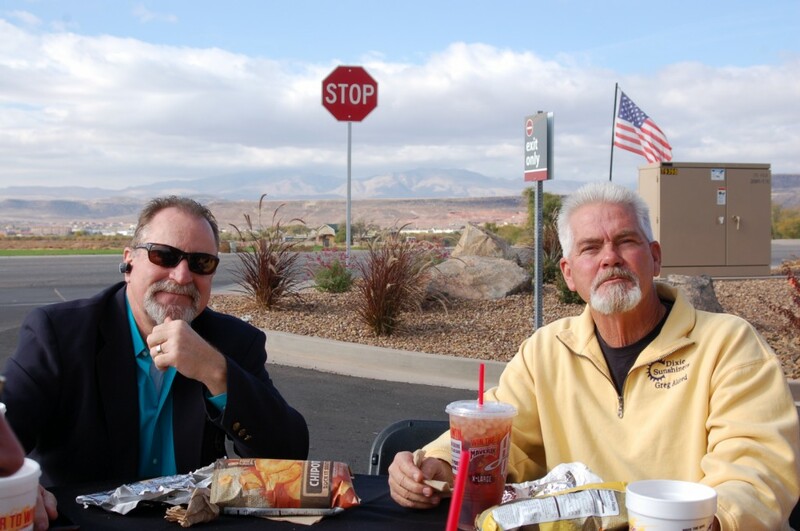 The new Jiffy Lube sits just above the banks of the Virgin River and, because of its location, came under a lot of fire from environmentalists who expressed concerns about possible water and ground contamination. 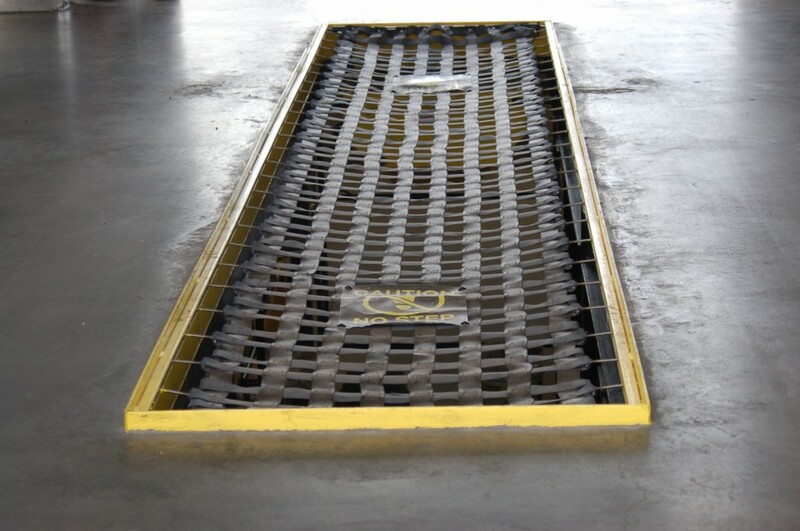 In order to protect the environment, the city built up the ground and installed slope-protecting riprap to keep the river contained and avoid any water entering the building from possible flooding, Johnson said. 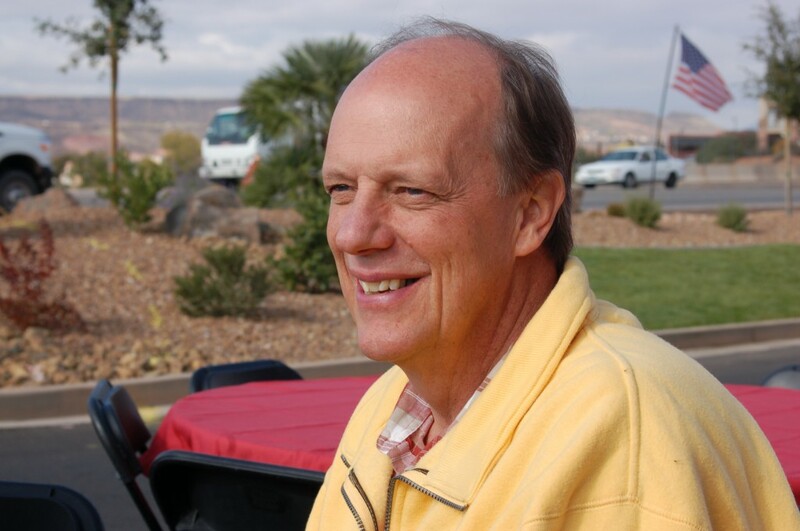 “We got challenged twice right after we built the building,” Johnson said. Two big September storms caused water to rise rapidly, he said, but the building wasn’t affected at all. In addition to the exterior work, Johnson said, the shop’s owners have gone and will continue to go above and beyond to protect the environment and keep the site clean. 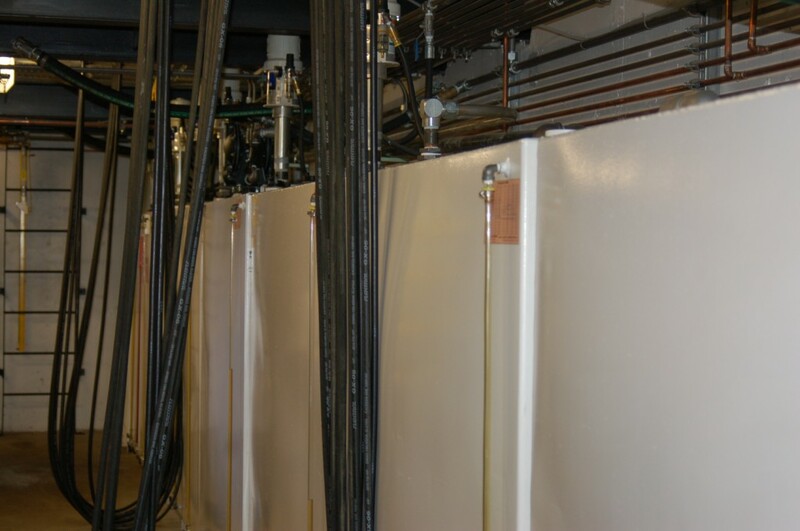 Waste oils are stored in tanks and pumped into tankers, Johnson said; they never go into the ground. Johnson added they are just as meticulous about what comes in as what goes out and will turn away tankers that show signs of leaking until the problem has been fixed on the vehicle. 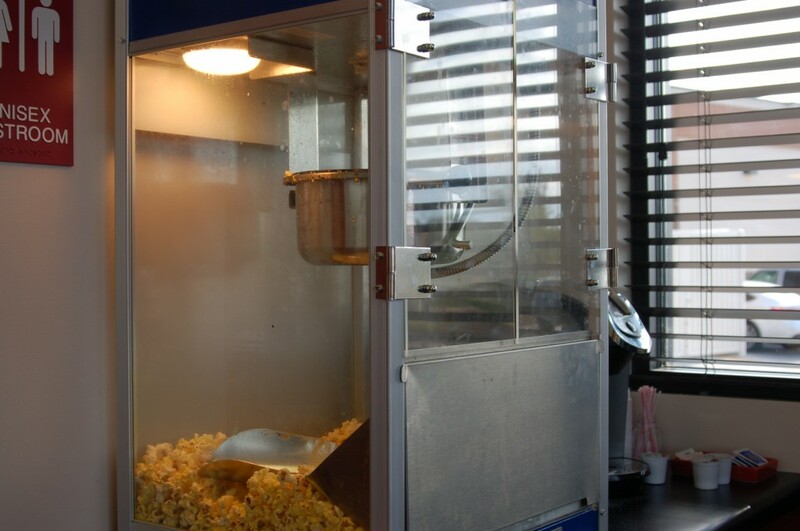 “We are serious about keeping it clean,” he said. 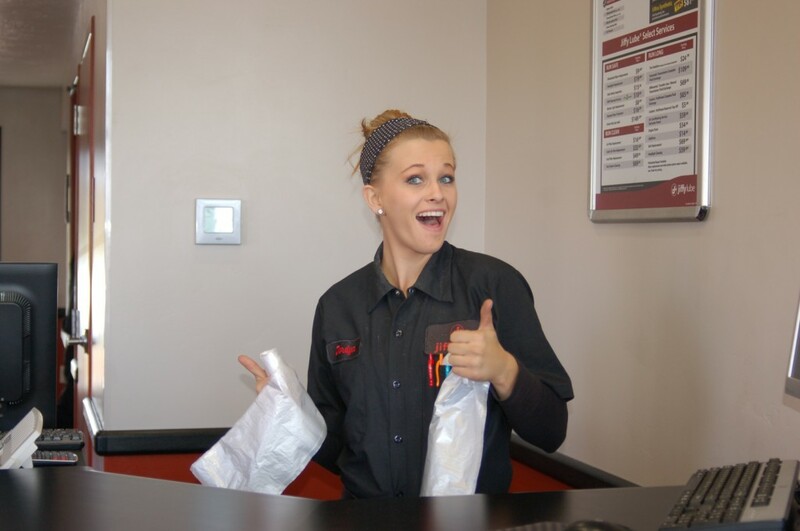 Employees at the new location expressed excitement with the shop’s success so far and said they are happy to be part of the Jiffy Lube team. Fraser works at the customer service counter and said she loves the camaraderie she feels with her co-workers. 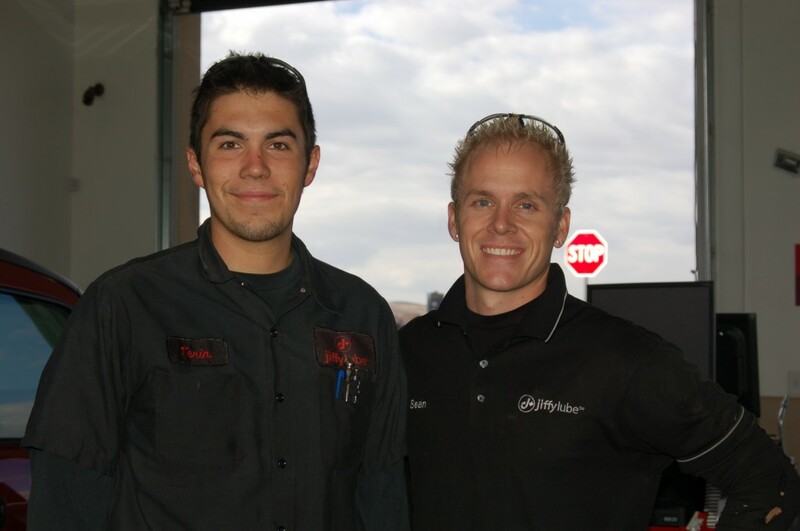 Jiffy Lube shared its family atmosphere with the community this week, offering free oil changes to all veterans of the armed forces on Veterans Day. 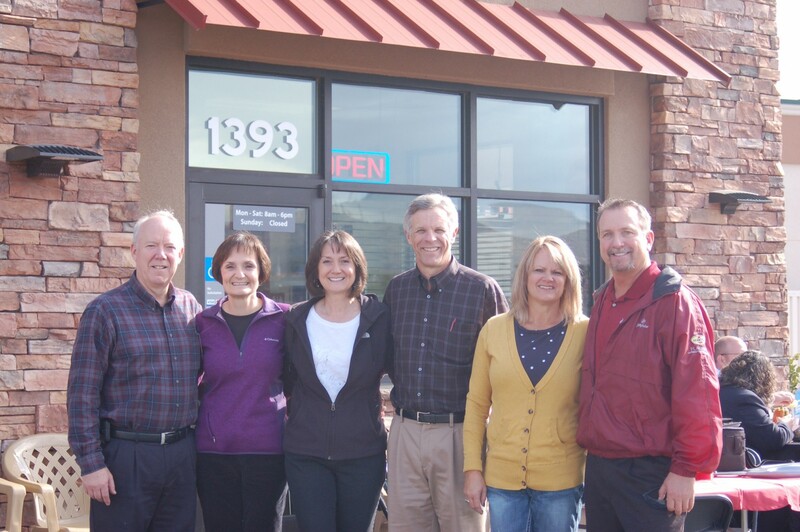 “We performed over 400 free oil changes at our locations throughout Southern Utah,” Johnson said. On Saturday, the River Road Jiffy Lube will host its grand opening event from 8 a.m. to 6 p.m., with discounted oil changes all day. 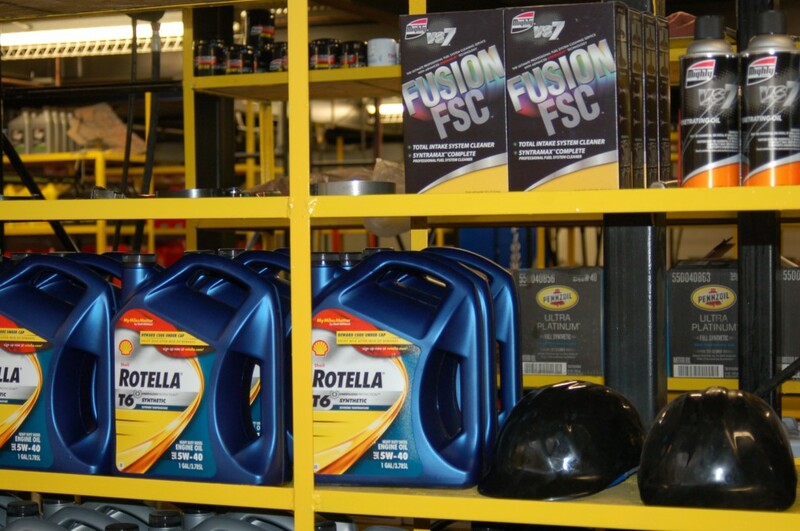 Oil changes will be $19.99, Johnson said, and there will be free pizza, radio broadcasts and prize giveaways, including a Kiss concert ticket giveaway. When: Saturday, Nov. 15, 8 a.m.-6 p.m. Details: Area radio stations will be broadcasting from Jiffy Lube all day, and there will be several prize drawings, including tickets to see Kiss in concert in Las Vegas, which will be given away at 3 p.m.
@Protect the Sheep, funny that the idea is supposedly from a Republican, yet you, as a presumed Democrat, are still driving around in your new oil-dependent automobile. If you weren’t such a democrat hypocrite you would be driving around on your little bicycle or electric car and wouldn’t even need to worry about a new Jiffy Lube location. 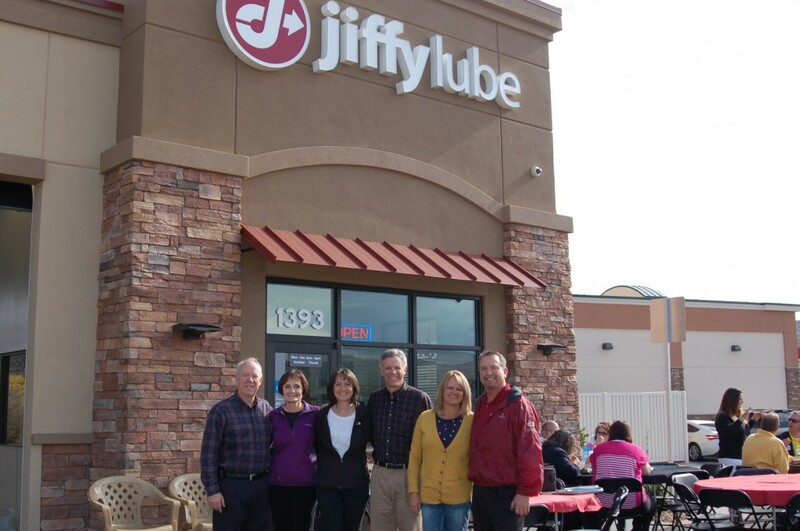 Good luck to this Jiffy Lube business in their new location. May you be very successful! @protect the sheep, great user name. You want to protect them because that’s the only girlfriend/boyfriend you can get. Yet the hypocrite liberal was giving that same business his oil driving automobile his business…. LOL, you can’t make up the stupidity…. Where’s the Virgin water going to go when that bridge is wiped out again during a 5.0 tremor or a dam breach up stream. I know, that’s what FEMA is for. But for now, the place looks real nice. be a welcome addition by many of us. The capricious Virgin River will have its revenge on the short-sighted local politicians, developers and complicit PE’s who signed off on flood plain development. She has a catchment basin, above the confluence with the Santa Clara River, of about 3,000 square miles with no on-stream reservoirs. It’ll happen like this: an unusual amount of low elevation snow pack will be followed by a warm prolonged winter rain event lasting several weeks. The Virgin, she will be crazy! Blowing out rip-rap, carving new channels and wreaking glorious vengeance on those who did not give her plenty of elbow room. OK, glad to see this is up and running. Now the question is, SMITH’S! Are they still going to put a (desperately needed) store in that area, or are they going to be blocked by the “powers that be,” Harmon’s & those idiots, (rich idiots, but idiots non the less,) that are trying to prevent it.